Home > Why Does Your Dog’s Muzzle Go Grey? One of the first signs we notice that our dog is growing older is the grey hairs on the muzzle. So why does a dog’s muzzle go gray? Just like in humans, the pigment melanin is produces in the hair root cells. As we age the root cells cease to produce the melanin and the hair the root cell produces no longer has color but is a gray hair. The more hair root cells that stop producing melanin — the grayer the muzzle will become. 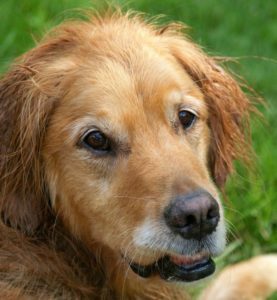 The most important thing to remember is – the aging process differs in each and every dog. A tip to improve the quality of life for our dogs is to always provide a quality supportive dog bed. An orthopedic memory foam dog bed is perfect for senior dogs since just like us humans, dogs can suffer from arthritis, joint issues, and sore muscles. 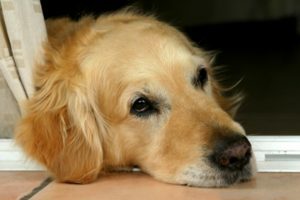 An estimated 10 million dogs in the United States have been diagnosed with arthritis, and 31 percent of dog owners say that bone and joint problems are an issue for their pets. Choosing an memory foam dog bed can help relieve the pain and tenderness.